Suit is a very important formal wear in the wardrobe of any men. They are the most cherished possession of amen clothing wear for they add a definite charm and elegance to the looks of a man. But a suit is not complete without a well fitted and matching suit shirt to go with it. Suit shirt enhances the look of a suit and also helps in accessorising the suit with appropriate accessories as most of the accessories to be worn with a suit need to be matched with the shirt instead of the suit. A well fitted shirt adds a million bucks to the look of the suit and thus it always advisable to go for a well stitched and fitted shirt so as to get those browny points for your looks. 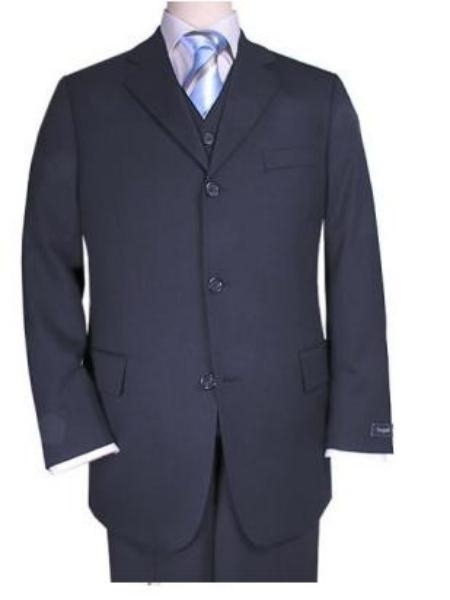 Mens Suit shirts can be distinguished as turndown collar shirts and wing collar shirts. As suit shirts are of formal nature, generally the button-down shirts are not considered as suit shirt because of its somewhat informal nature. Thus there are only two main types of formal shirts- turndown collar shirts that can be further divided as point collar shirts and spread collar shirts and wing collar shirts that are considered more appropriate to be worn with tuxedos. And this leaves only one type of shirt that can be actually termed as suit shirt and that is turndown collar shirts. As the name suggests turn down collar shirts has its collar turn down forming an angle that varies according to the individual. These are further classified as point collars and spread collars. Point collars are the most popular and common style of collar around the world. They give a pointed look as both the collars are usually close to each other although the angle can vary. The second most common style in shirt collar is that of spread collars and as can be deducted from the name itself the two tips of collar have a wide distance between them as the collar tips are spread. The mens designer shirts should always be bought and kept with utmost care as they have the capability to decide your overall look.